WaterStrider is an accessory currently available for the DJI Phantom 3 and 4 that allows you to confidently land on water, snow, sand, rocks, tall grass, sloped surfaces, and variety of other difficult terrain. It was designed to stay out of your camera’s field of view, be ultra lightweight to maximize flight time, durable to protect your drone, and quickly attach and detach from your drone with no special tools. The perfectly balanced center of gravity means you can have confidence when you’re flying through the air. 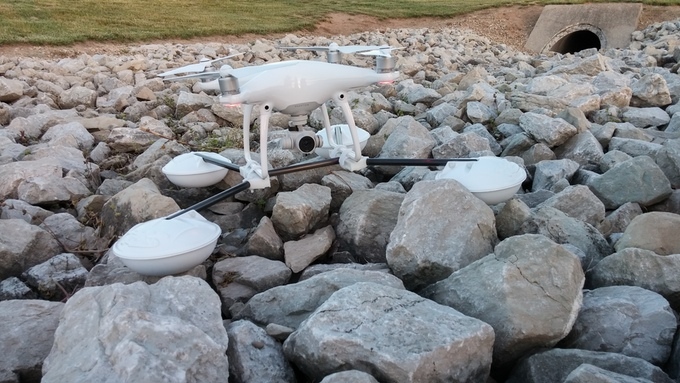 And the high base keeps your camera dry when you land your drone on the water! WaterStrider allows you to get unique shots never before possible! Float on the water for an amazing shot, and then transition to a birds eye view seconds later! Whether you’re flying for fun or professionally, WaterStrider will expand your capabilities to help set your work apart. The wide and high base means you can have confidence landing in water, snow, rocks, sand, tall grass, angled surfaces, and a variety of other difficult terrain. No more dangerous one arm catches! Land (or float) at a distance with confidence. And with the energy absorbing pods and ultra strong carbon fiber, you have one of the best gimbal guards on the market built into WaterStrider. We took special care to keep the front pods out of your camera's field of vision so you can capture that amazing content. 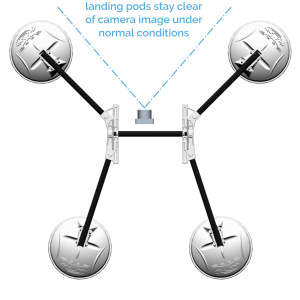 We were also careful to make sure WaterStrider doesn't impact the Vision Positioning System or the obstacle avoidance cameras (Phantom 4). 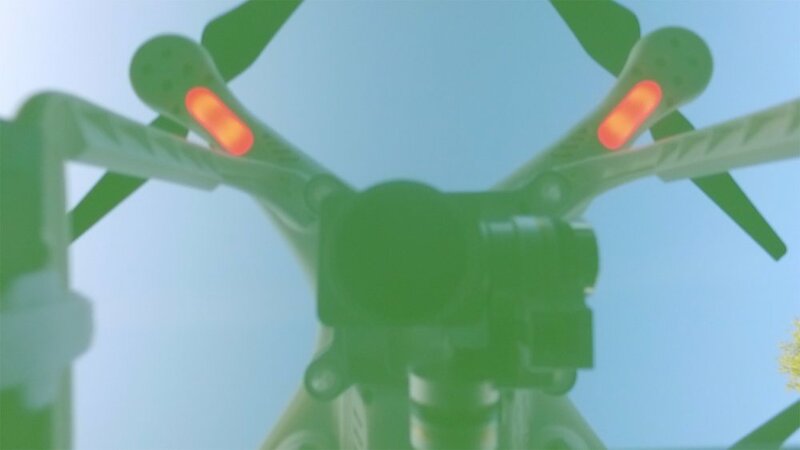 As aerospace engineers, we understand the importance of a proper center of gravity, center of buoyancy, and a lightweight solution so your drone stays nimble and performs like you expect. Thanks to the surface tension of water, combined with an elevated camera and gimbal, your drone stays dry during takeoffs and landings. It even stays dry when floating on mild waves in the harbor or ocean. Just check out our video for recommended limits and to see for yourself! While WaterStrider is easy to love, we understand it's not perfect for all situations. That's why we designed WaterStrider to attach or detach quickly. Installation and removal typically take less than 60 seconds and doesn't require any tools. We're confident that you'll love WaterStrider. But if you don't, simply return it for any reason within 30 days of receiving it for a full refund. Our customer friendly policies make returns quick and easy.